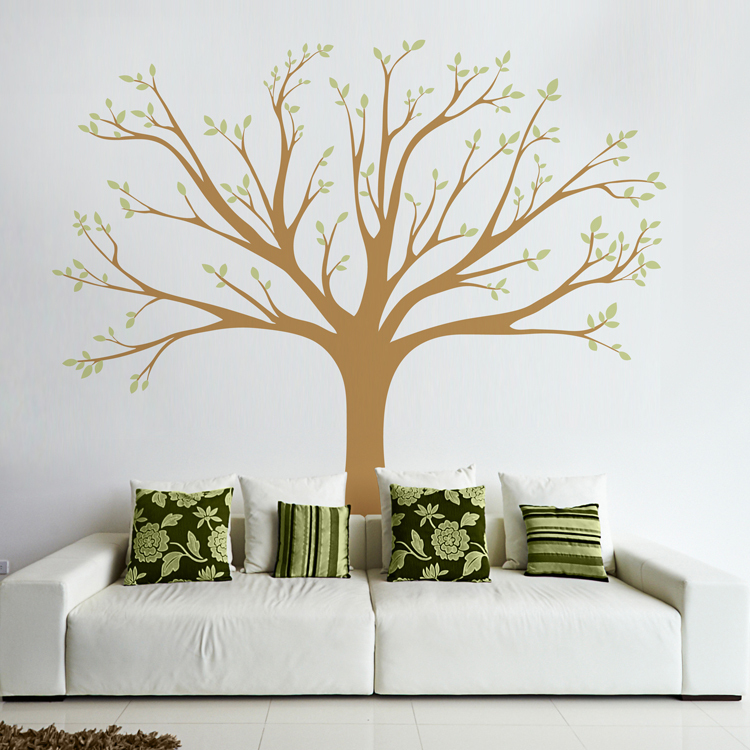 Our Lively Family Tree wall decal is perfect for any space! You can even hang your picture frames to create your very own family tree! Our wall decals are ideal for offices, living rooms, entryways, classrooms, even your car or glass shower doors! Layout as shown: 90 inches wide by 82.5 inches high. Colors shown - Light Brown Matte with Pale Sage Matte leaves. Available in up to TWO colors of your choice! 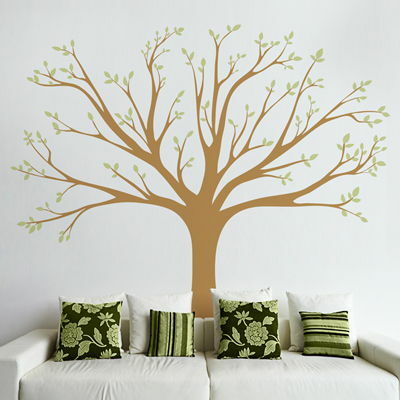 The Lively Family Tree decal comes in sections for easier application. Leaves will come attached for the one color option, leaves will come separate for the two color option. AMAZING! Love love love it! Great store and people to deal with. HIGHLY recommended. I just wanted to let you know that I am incredibly happy with my cherry blossom decal and the large tree with the leaves blowing off. I can't tell you how many compliments I've gotten on them and I've sent dozens of people to your site. Every single plumber, electrician, tiler, etc. who came through my door when I was getting my new condo ready saw the decals on the walls and went completely nuts over them! Super fast shipping and the decals are just what I wanted for my nursery! There were extras with my order, which was a fantastic surprise. Thank you so much! !